Is there such a thing as feeling yourself flying, loving someone forever? I know there is. But failing that, you can spend eternity in space, like Gene and Majel, who are going there shortly. 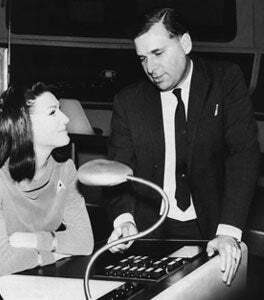 Yes, the remains of Gene Roddenberry—the creator of Star Trek, in case you are damn philistine—and wife Majel Barrett—the voice of the Enterprise—will be launched soon into orbit. Unlike the last time, where Majel sent part of her husband remains into Earth orbit, this time the rocket will send them deeper into space to never return to Earth, according to Celestis' spokeswoman Susan Schonfeld.